When we say geeks of all types are welcome at GeekGirlCon, we truly mean it. You won’t be challenged to prove your love for Star Trek: The Next Generation by sketching the seating chart for Ten Forward, demonstrate your Star Wars knowledge with the cargo capacity of an Imperial I-Class Star Destroyer, or name every item in Batman’s utility belt. Whether you know everything there is to know about one thing, one thing about everything, or are just starting out in your geeky journey, you are welcome at GeekGirlCon! Don’t believe us? Check out this No Geek Cred Required blog post we shared in advance of our convention last year. Starting with a foundation of “no geek cred required,” we also believe it is important that we actively support women and girls in a range of passions—to make sure they feel supported, welcomed, and encouraged. We want to put this in action by helping geek girls support one another. And as GeekGirlCon ‘12 approaches in just a few days, we want to dissect what it means for geek girls to support one another. We believe there is an important underlying message at the core of this phrase—one that emphasizes support over cattiness, encouragement over judgment, collaboration over competition. Women and girls today live in a society where they are constantly encouraged to care about how they look rather than what they know or what they do. Much of mainstream television showcases female relationships where women compete with one another, attack or belittle one another, or otherwise get ahead by undercutting other women. Other media and advertising bombard us with messages that our bodies aren’t good enough, that we aren’t whole without larger bra sizes, smaller tummies, or perfect skin. It is no surprise these constant messages impact our behavior. Women can also be harsh critics of other women. How often do we hear things like, “I can’t believe she’s wearing that,” or “Lay off the ice cream,” or bond with other women by “hating” someone for being prettier, skinnier, or younger? But we know there is a different path, a path that recognizes we should be supporting each other. 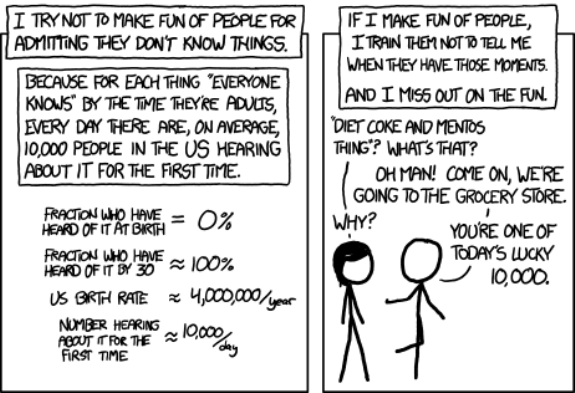 That’s particularly true in geekdom. We all know that women can face rejection, hostility, or harassment in video games, online communities, science, and technology. So how can we start solving this problem? We can be encouraging fellow geeky women and girls to find out where their passions truly lie, to find something to believe in that goes beyond the harmful media messages. Instead of telling a woman she needs to go away because she isn’t enough of a geek, we should be excited she wants to venture into our world in the first place. We should be inviting these women—friends, coworkers, family—to Doctor Who or Buffy marathons, or passing along our favorite comic books or craft projects. We should help each woman find her niche, niches, or just learn about something we know and love—and celebrate it with her. Think about your best friend in the world. Think about what makes them a good friend. Perhaps it’s the fact that they’ll tell you when you have something in your teeth. Or maybe they are a great friend because they are the kind of person who will share the last piece of cake with you. Chances are, this person has remained a best friend because they believe in you. They believe in your potential, they support you in your endeavors, and they celebrate your successes. 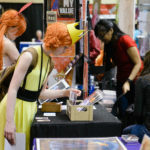 So, for those who are new to GeekGirlCon, we say “welcome,” and “we believe in you.” Whatever you love, whatever you “geek out” about, we think it sounds awesome. For our veterans, thank you for helping us create a community full of best friends who believe in and celebrate one another. We hope to see you at our convention—it is one of the best ways we can show the world that geek girls exist, and we support each other. This is an awesome and inspiring post. Thanks for encouraging women to embrace what’s great about themselves and each other rather than tear each other down. I look forward to more of these warm, fuzzy feelings at GeekGirlCon this weekend!